Live performance Phobias#6_394 from the series #My536Phobias. Co-curated by Prem Sarjo | Ejercicios Mosqueto. 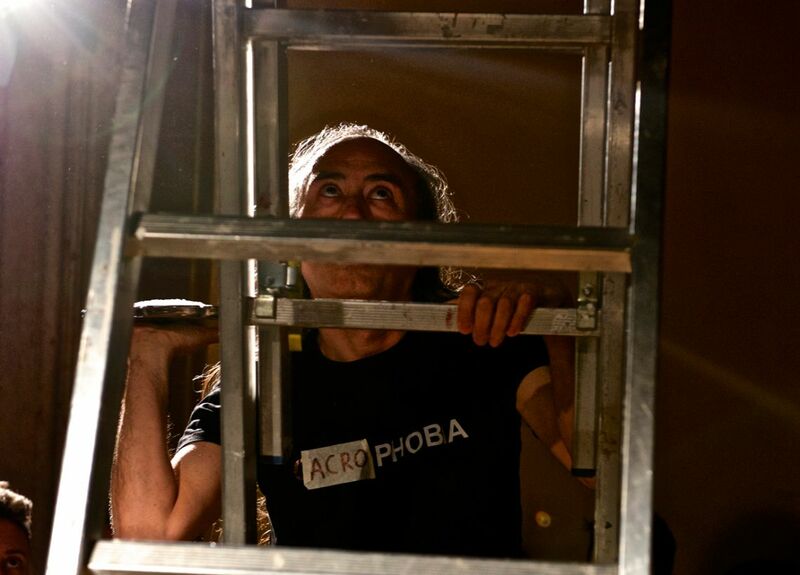 Alexander del Re is a Chilean performance artist, educator, curator and organizer since 1993. He was organizer and curator of the first international performance art festival in Santiago de Chile (Performare, 1997), as well as co-founder of the independent performance art organization PerfoPuerto. In his practice, he inquires the relationship between himself and the others, as well as the use of surveillance technology as a media of exploration of relationships. In his recent performances, he works on the vulnerability of the body. At the VENICE INTERNATIONAL PERFORMANCE ART WEEK 2016, Del Re presents the live performance Phobias#6_394 from the on-going series #My536Phobias. This series seeks to explore the vulnerability of the artist's body by confronting it to actions regarding existing phobias, in front of or with the participation of the audience. Using a list of the recognized 536 different phobias, Del Re uses the names assigned to phobias as a way to explore the sound and written form of such name in relation to the real effect on a body it implies. Some of the phobias that the artist plans to explore are not phobias he himself suffers, in which case he will seek to explore the effect they have upon the audience. In Phobias#6_394, he combines two phobias: Acrophobia and Philemaphobia.